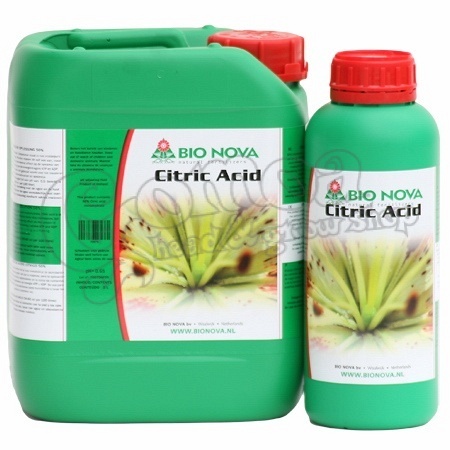 This product contains: 50% citric acid monohydrate. Citric acid is essential for the so-called citric acid cycle. During this process, plants convert applied fertilizers into the energy carriers ATP and ADP. These energy carriers then pass over energy to the stem, the leaves and the flowers. Plants make citric acid themselves, but a supplement has demonstrable positive effects. The crop looks more vital and lively after about two days. A supplement has a stimulating effect on the course of the growth. Application: for initial wetting of new media such as rock wool/trays for cuttings, and for flushing artificial substrates.